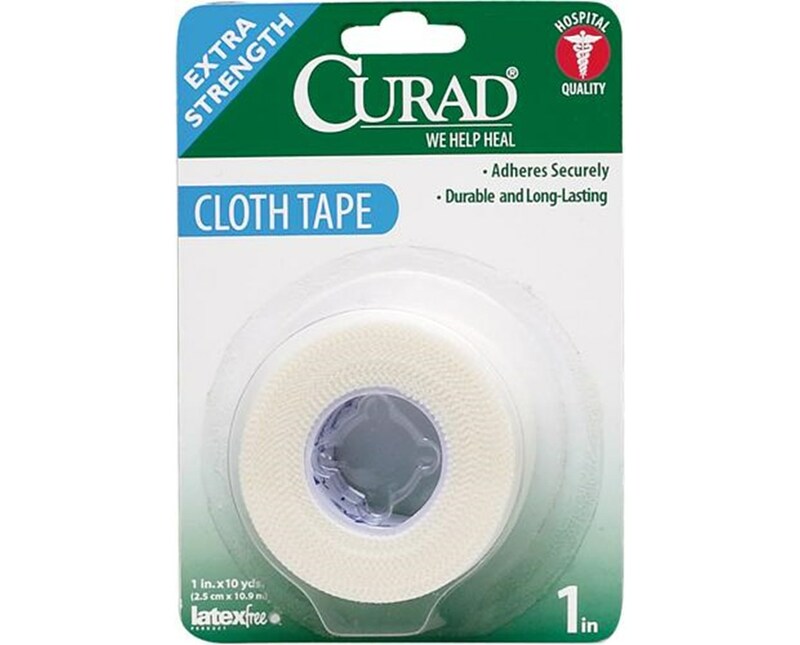 Curad's Cloth Tape is durable and multi-purpose, providing strong adhesion to hold dressings and splints in place. It can also be used to stabilize and support fingers, toes and wrists. The tape measures 1" x 10 yd and is latex-free. 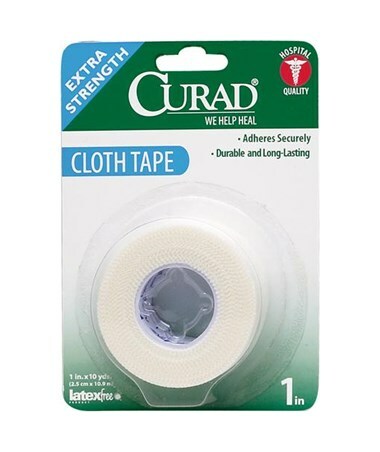 We offer Curad's Cloth Tape in either single or double packs, sold by the case. Select from the drop down menu above and order online direct by clicking "add to cart!"